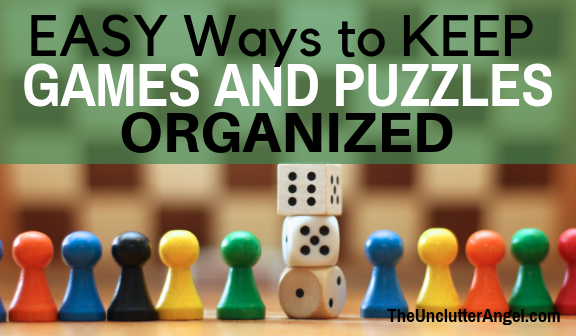 EASY Ways to KEEP Your Games and Puzzles Organized! 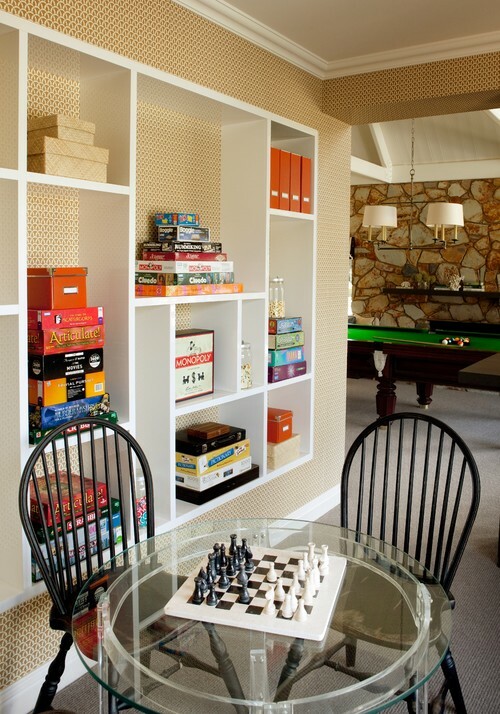 Organize Your Games and Puzzles and Never Lose a Piece AGAIN! Isn’t it fun to work on a puzzle for hours, only to find that there are a couple pieces missing? I like to sit down to play a game or put together a puzzle and know that we have everything we need before we get started. Hunting for the extra pieces isn’t a fun game to play! 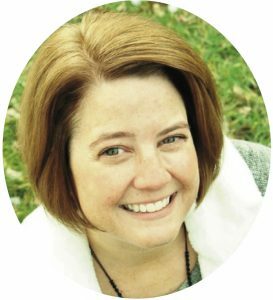 When we have young children, however, it’s not always easy to encourage the young ones to get all the pieces back where they belong. 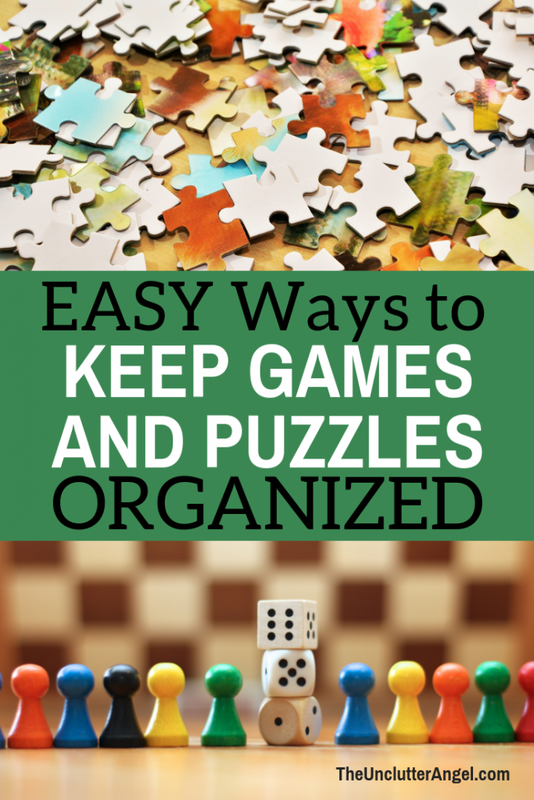 I am going to show you some easy ways to keep games and puzzles organized! Before you get excited about finding different ways get your games organized, spaces to keep them, or cool organizing products to get your games and puzzles organized, it’s best to take inventory. Gather all your games and puzzles and put them in one space. This gives you a better perspective on how many games and puzzles you have. 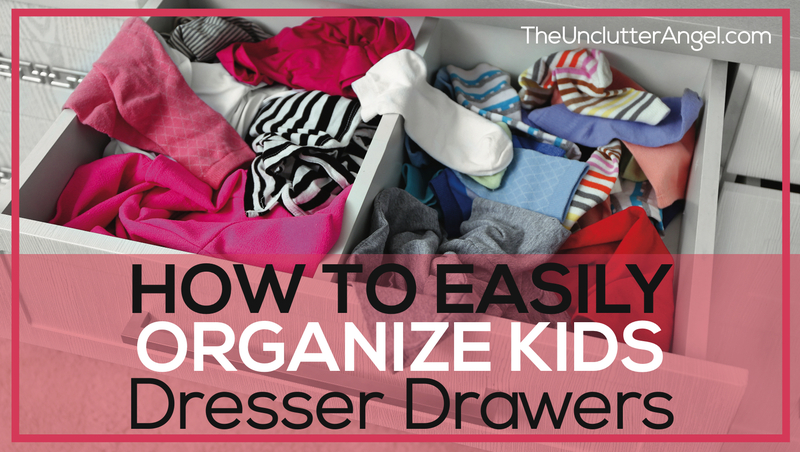 Make two piles while sorting, keep and give away. Once you have separated out the games and puzzles you no longer want to keep, decide where you would like for them to go. Don’t make it complicated, otherwise you may never get rid of them. Instead, if someone comes to mind that you feel would enjoy what you have, then ask them if they would like it. If they don’t, then you can donate to your church, a women’s shelter, or second hand store. I DON’T recommend donating puzzles with missing pieces. If generic pieces can be substituted in order for game to be played AWESOME! If pieces can’t be substituted, I would toss the game. When I was little, I remember a few board games that included pieces that were fun to play with. Candyland and Mouse Trap were some of my favorite games to play with, such fun game pieces! Creating an easy way for the kids to get all the pieces back where they belong when they are done playing is the key! 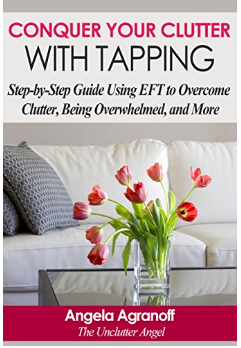 Easy is always the way to go when it comes to getting organized. Where do you currently store your games? I recommend having a cabinet or bookshelves to keep all your games in one place. However, if you have games in a couple places for convenience, like a play area and a family room, decide which area will hold which games. That way, you know right where to look and where to return them to. If the game boxes look like they have some rips, clear packing tape is easy and sturdy way to repair them. Over time, the original boxes for games can get worn out or destroyed. There are a few ways that you can preserve the box and keep all the pieces together. It can be super frustrating to get to the final pieces of a puzzle you have spent days working on, only to see that you are missing a few pieces. Most puzzle boxes are light and flimsy. We have had a number of our puzzle boxes break or rip. Thick packing tape can help to mend the puzzle boxes and keep them from flipping open. If the system that you put into place is easy to use and simple, your family will likely take better care of the puzzle set and get everything back into the box or storage container. While you are working on a puzzle, you may leave a puzzle out for days, or weeks, on a table until they are completed. Since the puzzle stays out for a period of time, this is probably why a number of pieces go missing. 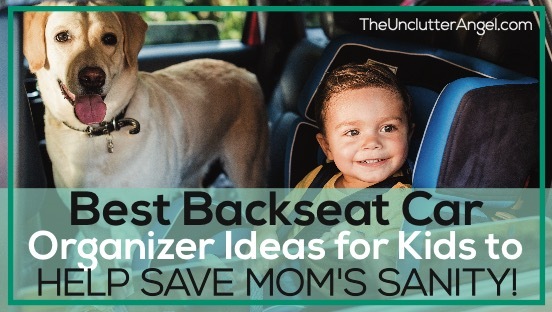 The table gets bumped, little ones come by and help themselves, things get pushed off the table if you are working on a table that doesn’t have as much space as you need to work. 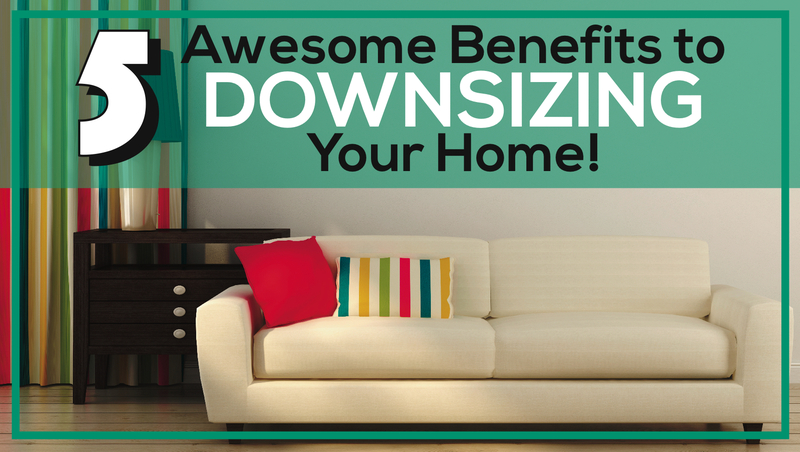 To help avoid puzzle pieces being lost, a mat may be helpful for you. It not only helps keep the puzzle pieces more stable, you can also roll them up and keep your puzzle somewhere safe until the next time you want to work on it. Decks of cards can get messy! If the cards don’t make it back in the card box, or they get mixed up with other sets, they get lost and the deck isn’t useful anymore. Hate it when that happens! If you find that you have a few decks that are not a full deck, I have found some fun ways to still use them! Playing cards can not be recycled because they have a plastic coating on them. If you are crafty, maybe you can get creative and find more ways to use playing cards! Games are a wonderful way to spend time with family and friends! 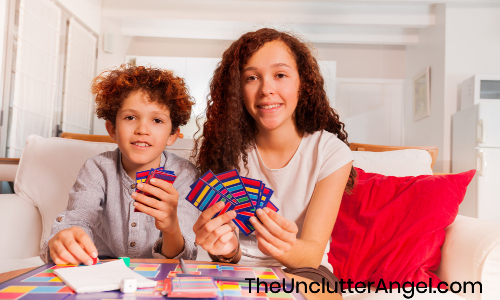 Having an easy system to keep everything organized will not only ensure that all the pieces to your games, puzzles and cards will be where they are needed, but will help to save space and keep it neat! Have fun playing with the family! You offer lots of excellent ideas, but I especially like the ways to use playing cards from an incomplete deck. Very clever! 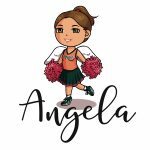 Thank you Janet! It was inspiring to see how we can reuse items in a fun and playful way! Great ideas. Even with all the video and computer games out there, board games are still the best. I agree, I enjoy board games more too! Thank you!